Broken faucets and leaky pipes are no match for us! After repeated, daily use it’s only a matter of time before your faucets and pipes spring a leak. It happens to all pipes and faucets over time. Even the most expensive faucets will have leaks and other issues. Trying to take care of them yourself could make the problem worse. You could make the leak bigger, strip or cross thread a connection, or worse, crack and break the porcelain. When you have faucet and pipe leaks, you need an experienced plumber to take care of it. Dripping faucets not only keep you up at night, but they’re wasting precious water. Your utilities will skyrocket in no time if you don’t get it fixed soon. Don’t just sleep with a cloth tied around your leaky faucet. Don’t just put a band aid on your leak; get it taken care of the right way with Scranton Plumbing and Heating. If you suspect that your pipes are leaking, you need to act quickly. You could have a bigger problem soon once the water damage destroys the walls or ceiling around the leak. Worst of all, harmful mold and mildew will begin to form, putting you and your family at risk. If you have a leaking pipe have it taken care of today by Scranton Plumbing and Heating. You’ll be saving time and money by getting it repaired soon. Water damaged walls and ceiling have to be restored and rebuilt. If the leaky pipes were left for too long, you may need the entire room torn down and rebuilt. This could costs thousands and leaves your bathroom unusable for weeks. It’s far cheaper and easier to have the professionals at Scranton Plumbing and Heating fix the leaky pipes. Exterior water lines become leaky easily. The sun and other weather elements wear them down, causing them to corrode and leak faster than interior plumbing. Leaking exterior lines can go unnoticed, costing you more each month in wasted water. Leaking lines also makes it more difficult to use garden hoses and other attachments as the pressure isn’t as strong as it should be. When you need replacement exterior water lines, you need Scranton Plumbing and Heating. Even if your faucets aren’t leaking, you can have them professionally replaced. The best preventative measure against leaking faucets is to have them installed correctly the first time. This prevents leaks from starting and keeps them in great shape longer. Trying to install a new faucet yourself could lead to leaks and wrong connections. You may even have to completely disassemble it and start all over again. Skip the hassle and the headaches and have your new faucets professionally installed. 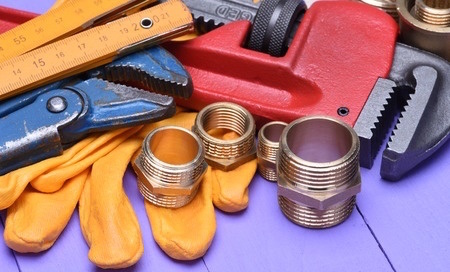 Whether you need new faucets or pipes, or simply leak repairs, Scranton Plumbing is there for you. Our team can find the leak and fix it fast to get your plumbing the way it’s supposed to be again. Don’t wait for faucet and plumbing issues to get out of hand; call Scranton Plumbing and Heating today! "Mike is truly a master of his craft. We choose his plumbing and heating services not only for our rental properties in East Scranton, but also for our home. He is reliable, honest and friendly. We recommend him to all of our friends!"